Robert Fuller, an FBI agent who interrogated Canadian terror suspect Omar Khadr at Bagram Air Base in 2002 (see October 7-22, 2002), testifies about the interrogation at a Guantanamo hearing. The hearing was requested by Khadr’s defence team, to have self-incriminating statements Khadr made during interrogations suppressed ahead of proceedings before a military commission. 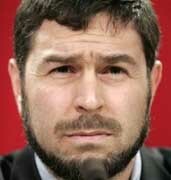 Fuller says that, during the interrogation, Khadr told him he recognised a man named Maher Arar from a safe house run by al-Qaeda in Afghanistan and also possibly from a terror training camp. “He identified him by name,” Fuller says. [CBC News, 1/20/2009; Canwest News Service, 1/20/2009] However, cross-examination by the defense the next day will raise several issues that cast doubt on the identification (see January 20, 2009).